Jack in The Box is known for its delicious Jack burgers and sandwiches which can satisfy even the pickiest eaters with their menu ranging from the Classic Buttery Jack to epic sides of tacos and fries. The first ever Jack in the Box restaurant was opened in 1951 by Robert O. Peterson and was strategically placed on the road leading to the city of San Diego. With its location and the huge jack-in-a-box clown hovering across the roof, motorists couldn’t help but stop by the restaurant and have their curiosity satisfied with a couple of Jack in the Box’s tasty burgers. Almost 70 years have passed and Jack in the Box has now grown from that one tiny fast-food place to 2,200 restaurants, spreading across 21 states, including Guam. It had won the award for Best Burger: Buttery Jack in 2015, and had now been featured on BurgerBusiness.com’s list of Best Burgers for two years in a row. Jack in the Box doesn’t just take pride on how it takes care of people’s stomachs, but on how well it takes care of its employees as well. It ensures that everyone is healthy with health benefits covering medical, dental, and even vision along with financial assistance for short-term and long-term acquired disability. And to top it all, Jack in the Box also provides 401k retirement plans, learning and development programs, and performance bonuses. To set the record straight, the burgers are not the only reason why people love to work for Jack in the Box. Jack in the Box ensures that its employees are given Total Rewards: culture, health benefits, financial wellness, learning and development, pay and recognition, and lastly, an environment conducive for work-life balance. How old do you have to be to work at Jack in the Box? For those interested to join the Jack in the Box family, the minimum age requirement is 16 years old. However, there are certain jobs that require someone to be more experienced. Hence, the age requirement varies depending on the position to be filled. With more and more Jack in the Box restaurants opening across the country, the need for talented, driven, and hard-working people increased as well. There are a lot of jobs to choose from, whether in the corporate headquarters or in the individual restaurants, Jack in the Box assures that its employees would not only love its burgers, but they will also love making them. Restaurant Cook: Restaurant Cooks are in-charge of the kitchen, from the preparation of food, to the use and supervision of the grill and other cooking equipment. They provide guidance to the kitchen staff and ensure that all food is well within the restaurant standards before being served to the customers. Restaurant Team Member: A Restaurant Team Member ensures that all customers receive warm welcomes and great accommodations. They make sure that orders are taken accurately and served in a timely manner whether it is for a take-out, dine-in, or drive thru. Manager, Brand Performance Services: A Brand Performance Services Manager heads the Brand Performance Services team that provide support and consultation to franchise operators and restaurant management. They travel from time to time to check on individual restaurant franchise operations and marketing programs. Manager, Field Facility Services: A Field Facility Services Manager oversees the inner workings of the Regional Facility Services Department in ensuring the efficiency of restaurant equipment and facilities and its maintenance and repairs. They are responsible for the conduct and evaluation of bids, assessment of equipment and facilities, as well as the development of maintenance programs and procedures. Regional Marketing Manager: A Regional Marketing Manager supervises the Local Marketing Fund and is responsible for the development of the Regional Marketing Calendar. They provide consultations on various marketing strategies and promotional programs to increase sales and further restaurant growth. R & D Technician: An R & D Technician is a part-time position which entails R & D tasks such as supply procurement and preparation, product inspection and maintenance of kitchen equipment. They are also responsible for the adherence of the restaurant to various federal laws and health regulations. Senior Marketing Insights Analyst: A Senior Marketing Insights Analyst provides advice centered on marketing and sales data to further Jack in the Box growth. They are responsible in creating unique marketing platforms and strategies that will not only increase profit, but will also provide for the foundation of future restaurant ventures. Associate Product Marketing Manager: An Associate Product Marketing Manager is in-charge of the Product Marketing Calendar and also assists in the creation and implementation of product and menu marketing programs. They work in collaboration with the cross-functional team to ensure the efficient and effective execution of various marketing projects. Marketing Administrative Assistant: A Marketing Administrative Assistant works in an administrative and secretarial capacity for the managers of Marketing Communications, Media, and Product Marketing departments. They are responsible for updating schedules, meetings, and events, as well as the handling of correspondence via calls, e-mails, or letters. They ensure that all memos and information materials are accurate and up-to-date. Senior Financial Analyst – Supply Chain: Senior Financial Analysts are responsible for the creation and analysis of financial models that will best reflect the company’s financial status and growth. They also work with Project Managers and external consultants to further analyze and accurately determine the different factors that affect company operations and sales. An interested person may apply for a job by simply going to the Jack in the Box website and clicking on the Careers button. Just provide the necessary details on the type of job you are looking for at the Find Jobs search engine and you would be provided with a list of all available positions and all you have to do is choose among them and click Apply. Online applications can be easily done using Jack in the Box’s official website where vacant positions are listed, whether for corporate or restaurant operations. However, there are certain positions which are only available at selected areas since the vacancy depends on independent franchise owners. Hence, only in-store applications are allowed. In the Find Jobs search engine, make sure that you provide a keyword relative to the position you want. This will make it easier for Jack in the Box to provide you an accurate listing of the vacant positions you may wish to apply for. The keyword/s may be a job title or a short job description that best suits your preferences. Make sure that all the information you have provided are accurate and are at up-to-date. Provide for brief but concise descriptions of your previous jobs to make it easier for Jack in the Box to match you with your prospective position. Read, understand, and familiarize yourself with the job description stated in the Jack in the Box website. Make sure that you are prepared to answer queries regarding the duties and responsibilities that the job entails, as well as to provide them a reason why you are the best person suited for the position. Jack in the Box isn’t just big on burgers, but is also big when it comes to its charity work. An astonishing $375,000 was easily donated to Big Brothers Big Sisters mentoring network in 2016, which not only prove how delicious and profitable Jack’s burgers are, but how generous and charitable this company is. For the introduction of Jack’s Brewhouse Bacon Burger, the newest addition to Jack in the Box’s sensational burgers, the company utilized virtual reality for its advertising campaign. And for that marketing stint, it was a no brainer when Burger Business announced that Jack in the Box bagged the Burger Advertising of the Year award. 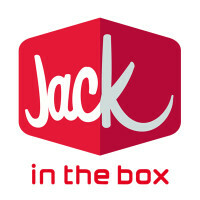 Jack in the Box is known for its innovative and unique burgers, as well as for its signature sandwiches. Not only is the food delicious, but Jack in the Box also makes sure that all the food is freshly cooked and served hot. Jack in the Box Foundation, which was established in 1998 has been actively supporting the No Kid Hungry campaign in providing food for less fortunate children. Jack in the Box, along with its franchisees have also been in partnership with other advocacy groups such as Make-A-Wish, March of Dimes, and Children’s Hospitals in order to give back to the community and make the people less hungry and more happy. 1 How old do you have to be to work at Jack in the Box?